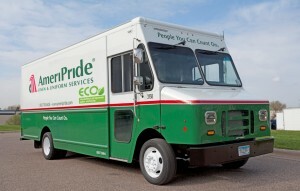 The 125-year-old company is committed to reducing its carbon footprint and energy consumption through fleet operations. 48 percent fuel cost savings. 4 million fewer pounds of carbon dioxide.